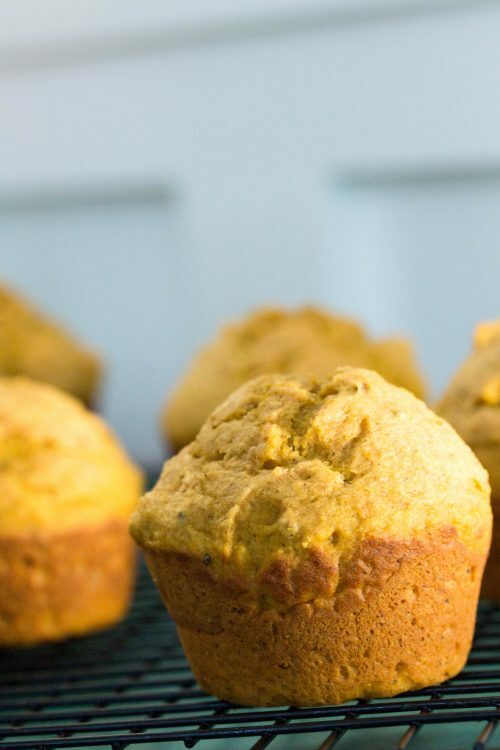 These pumpkin banana muffins are light, fluffy, and perfect for the Fall. They are meant for breakfast, but don’t be surprised if you’re tempted to eat them for every single meal throughout the day. I made a batch this morning and my three year old wanted them for every meal AND snack! 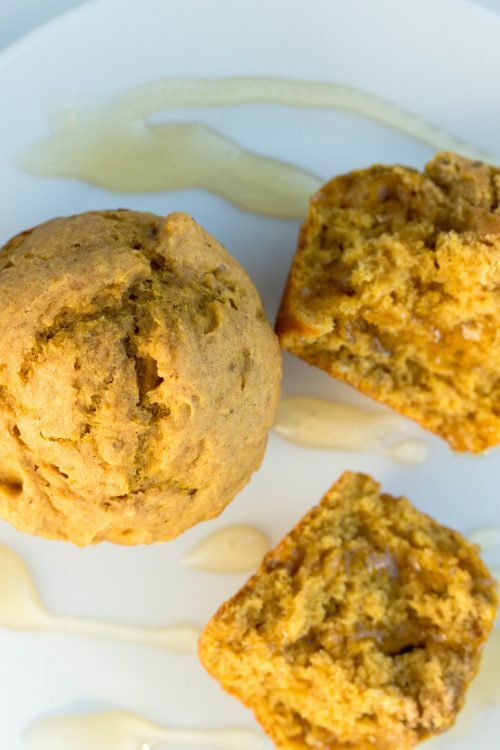 He’s now in bed with a stomach full of these deliciously fulfilling healthy pumpkin banana muffins. This is my VERY most favorite time of the year. It’s right before the holiday season kicks off with Halloween, the weather is starting to cool, leaves are changing, AND it’s prime time for comfort food. 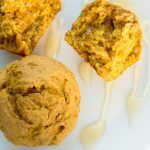 I’m already a huge fan of quick breads and have a special weakness for banana pumpkin recipes. I created these Chocolate Pumpkin Banana Muffins a couple years ago and have not looked back since. If there’s a potential recipe where I can continue to combine banana and pumpkin, create I will. I know I repeat myself, however I love sneaking healthy ingredients in recipes without anyone knowing. Fabulously healthy grains like chia seeds and flaxseed are easy to add into muffins such as these. Also, I have tried several different whole wheat flours and now only use Bob’s Red Mill whole wheat pastry flour. It keeps your baked good light, fluffy, and healthy. Trust me. It’s a must try. 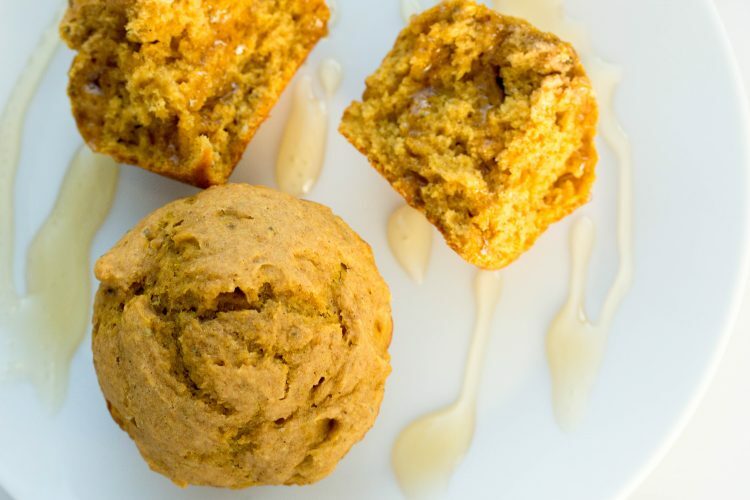 SO if you’re wanting to keep this pumpkin banana muffin healthy, you can spread coconut oil instead of butter over fresh-out-of-the-oven muffins and drizzle pure honey on top. You can thank me later. 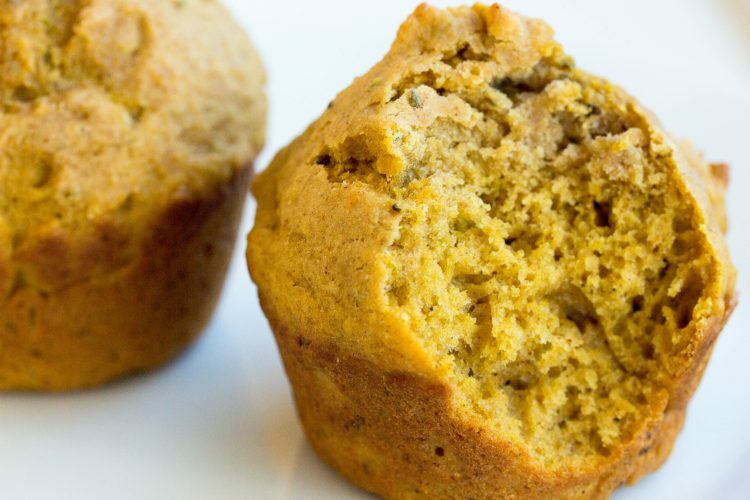 Now hurry and go bake these addicting banana pumpkin muffins. These muffins are light, fluffy, and a perfect breakfast for the Fall. Enjoy the pumpkin banana flavors combined with cinnamon. Your whole family will request them all day! Preheat the oven to 350 degrees (lower elevation) or 375 degrees (higher elevation). In a large bowl, whisk together the banana, pumpkin puree, applesauce, honey/maple syrup, olive oil, milk, vanilla, and egg. Fill greased muffin pan with about 1/4 to 1/3 cup of batter. Bake for 16-18 minutes or until the tops have slightly browned. The inside will be moist you should be able to insert a toothpick and it come out clean.